Cote d’Ivoire has recently sent 150 troops to support the UN mission in Mali. Credit: UN Photo/Marco Dormino. Reforming a fragmented army will be tough in Côte d’Ivoire’s tense atmosphere. Could foreign deployment provide an alternative solution? The five-day mutiny in Côte d’Ivoire is reportedly over following an agreement with the government yesterday. Gunfire and roadblocks had paralysed towns and cities across the country since Friday. But the mutineers returned to their barracks after their demands over back pay and bonuses were met. This tumultuous episode first began on 6 January in Côte d’Ivoire’s second largest city of Bouaké. That morning, fifty or so soldiers set up roadblocks. The mutineers were former rebels who had fought in support of President Alassane Ouattara for years before being integrated into the national armed forces after the 2010-11 civil war. They demanded the money owed them for the period they fought for Ouattara without pay and called for their ranks as rebels to be recognised in the regular army. Soldiers in six other cities – from Korhogo in the north, to Daloa in the centre, to Daoukrou, Odienne and Man in the west – soon followed suit. By 7 January, the revolt had spread to the commercial capital Abidjan. An agreement was quickly reached with the government and the soldiers backed down. Last week, however, the 8,400 soldiers revived their protest calling on the government to finally fulfil its previous promises. The mutineers reiterated their demands until the government agreed to immediately pay out bonuses of 5 million CFA francs ($8,400) to each of the mutineers, with 2 million CFA francs more to be paid at the end of June. There are three ways to understand why these mutinies are erupting now. The first is to see it as a labour issue, an approach advanced in a piece by the Nordic Africa Institute. This understanding situates the mutiny within broader social discontent in Côte d’Ivoire, where it is not just the soldiers but teachers and civil servants that are on strike. While the country has benefited from strong economic growth since the end of the civil war, there is a perceived disconnect between growth and redistribution. The military crisis can therefore be seen as a social crisis which questions the way Côte d’Ivoire’s economic gains have been shared. Another way to see the mutiny is as part of a political crisis. There are many rumours circulating in the country that Guillaume Soro, who led the rebel forces during the civil war, was behind the January revolt. Soro is currently president of the National Assembly and it has been suggested that the mutiny, which happened at a moment key governmental positions were being reviewed, was timed to warn against his removal. The fact that the mutiny started up again this May does not necessary call into question that hypothesis, but simply suggests the crisis evolved beyond its initial trigger. A third approach to understand the recent events is to look at the army itself and the tensions between its various factions. For some analysts, the delay in addressing key reforms in the security sector since the civil war has been a crucial factor in the army’s rising disenchantment. The problems within the army are not new. Under the country’s first president, Félix Houphouët-Boigny, the military’s role was strictly kept to a minimum. But after his death in 1993, the country went into turmoil and the army started to reflect the clientelism and ethnic favouritism that developed under President Henri Konan Bédié. In 1999, the army mutinied, eventually resulting in a military coup that removed Bédié. Key factions emerged within the army under the names such as Brigades rouges, Camora, Cosa Nostra, PC Crise, and the Kamajors. In 2008, following the end of the 2002-2007 civil war, the army mutinied once again, this time under the reign of President Laurent Gbagbo. The divisions that have fragmented the army in the past are still present today. But they have taken on a different form with the integration of pro-Ouattara rebel forces after the 2010-11 civil war. The factions in operation currently include those favouring President Ouattara, those backing Soro, and those who still support former president Gbagbo. There are also groupings representing former regional commanders in rebel-held zones such as those who were allied with Ibrahim Coulibaly, a former rebel killed in 2011, or Issiaka Ouattara (alias Wattao). It is revealing that the recent mutiny was resolved and mediated by Wattao, who is currently second-in-command of the republican guard. The official military chain of command seems disconnected from certain factions. The Ivorian government is aware of these issues. In response, it has completed a disarmament, demobilisation and reintegration (DDR) process, and security sector reforms are currently being addressed. But the legacy of the civil war and a history of factionalism make army reform difficult. It is not surprising that the mutiny first emerged in Bouaké given the many reports that the DDR programme there had been rushed and poorly conducted. Moreover, the government’s proposed future reforms, if carried out, could cause further social and political complications. For instance, the 2016-20 proposals include cutting the army to 20,000 troops, anticipating voluntary redundancies of 4,400 soldiers. In the current complex context, such a move seems unfeasible. However, the government appears to be trying another tack too that may prove more fruitful. 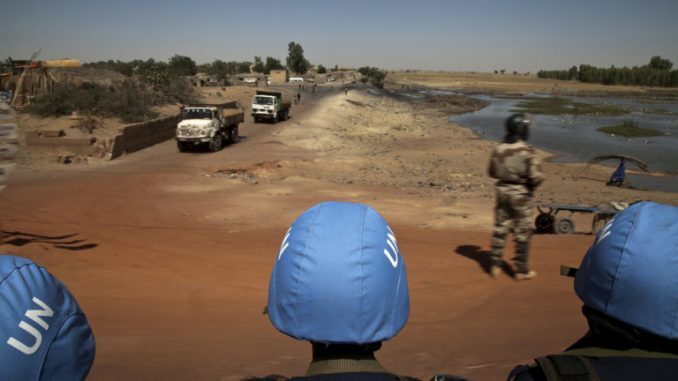 Côte d’Ivoire has just sent 150 soldiers to join the UN’s peacekeeping efforts in Mali (known as MINSUMA). This could be part of a strategy to professionalise the army through a learn-by-doing approach under the guidelines and guidance of the UN. These forces could learn and share good practices – around issues such as ethics, human rights, responsibility and hierarchy – that could create the conditions for reform on their return home. The recent series of mutinies are unlikely to improve the image and therefore possibilities of external deployment for the Ivorian army. But away from the tense domestic arena of Côte d’Ivoire, such experiences could help create the impetus for reforming the country’s fragmented and disenchanted armed forces from the outside. While the latest mutiny may be over with the payment of bonuses, resolving the army’s internal tensions and contradictions in a meaningful long-term way will be much harder. Who could be Zimbabwe’s next president?